This article originally appeared in DefenseOne on December 17, 2018 and was co-authored with Mandy Smithberger, Director of the Center for Defense Information at the Project On Government Oversight (POGO). The incoming Congress should tie defense budgets to accounting improvements. While the public is generally familiar with weapons manufacturers delivering fighter jets and other costly products behind schedule and over budget, similar overruns have now crept into service contracting as well. Fortunately, the Justice Department is starting to strike back against rampant misuse of taxpayer funds, seeking criminal indictments and civil penalties against some of the worst abusers of the system. Now Congress must do its part. This article originally appeared in the Washington Examiner on November 14, 2018. This article originally appeared in the American Conservative on October 9, 2018. This article originally appeared in the American Conservative on August 1, 2018. 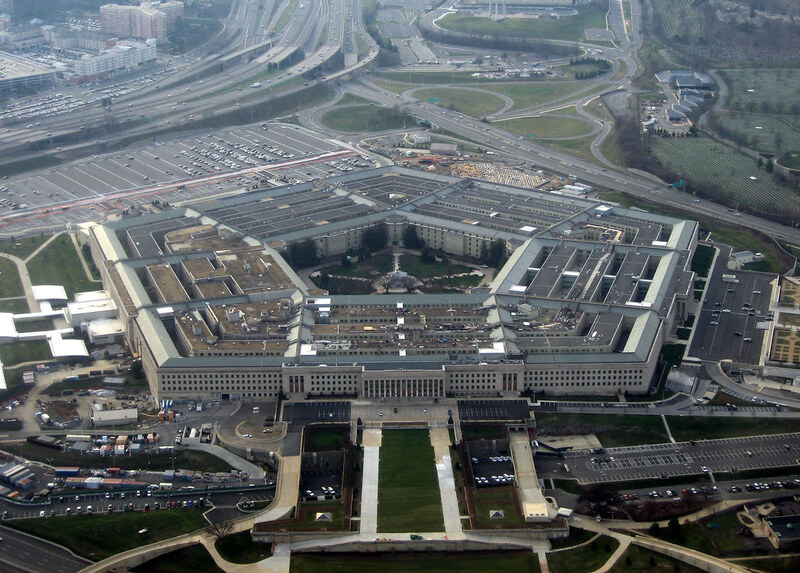 The Pentagon is often described as a black hole of government spending. Just how bad is it these days? The Defense Department spent $21 billion in taxpayer money over two years without telling anyone what services were rendered or which companies benefitted. Normally, watchdog groups can at least identify the agency’s frivolous spending and tease out who the major beneficiaries are. But under something called Other Transaction Authority (OTA), the Pentagon can award money without the usual disclosures or due diligence normally required of federal contracts. Voila! A black hole. This piece was published in the Independent Journal Review on August 22, 2017. Andrew Langer is the President of th Institute for Liberty. This op-ed appeared in The Washington Examiner on January 3, 2017. President-elect Trump is going to have plenty of messes to clean up when he sweeps into the Oval Office, but the first might have to be at the Defense Department. Far removed from the forces in the field, the bloated bureaucracy at the Pentagon has become its own special miasma of waste and excess, as proven by a study by the Defense Business Board that detailed $125 billion in administrative waste in the Pentagon's business operations. The report essentially detailed how the Pentagon could save $125 billion over five years by streamlining its bureaucracy. Is Trump’s Pick for Budget Director a David Stockman Redux? Veronique de Rugy is a senior research fellow at the Mercatus Center at George Mason University, a columnist for Reason magazine and the Washington Examiner, and blogs about ecomomics for National Review. Click here to contact her, and follow her on Twitter: @veroderugy. Click here to read previous columns. This piece originally appeared on Noozhawk.com on December 23, 2016. In his 1986 memoirs, The Triumph of Politics, David Stockman wrote: "The politicians were wrecking American capitalism. They were turning democratic government into a lavish giveaway auction. They were saddling workers and entrepreneurs with punitive taxation and demoralizing and wasteful regulation." For the four years he served as President Ronald Reagan's budget director, Stockman fought for his vision of sustained economic growth and social progress through sound money, lower tax rates and curtailment of federal spending, welfare and subsidies to private interests. Unfortunately, he lost his dream of a true Reagan revolution because many congressional politicians refused to implement the big spending cuts that had to be matched with the big tax cuts. Pentagon spending continues to be a focus for the Taxpayers Protection Alliance and many other taxpayer advocates who care about fiscal responsibility. Recently, TPA President David Williams laid out the case for how President-elect Trump can make good on his promises to change Washington by tackling problems with the defense budget. Yesterday, a report came out detailing how the Pentagon has been wasting over $120 billion on bloated bureaucracy in recent years. Keeping all of that in mind, TPA signed this letter criticizing Congress for their continued gaming of the budget as it relates to Pentagon spending and specifically the authorization of an additional $3.2 billion as part of the National Defense Authorization Act (NDAA) that just passed Congress last week. TPA firmly believes that the best way to secure our nation and our people is to ensure that the financial resources we have are being used in the best way possible to protect against threats both foreign and domestic. Using budget gimmicks to plus-up Pentagon spending on wasteful programs doesn't make the country any safer. Click "read more" below to see the 2016 Taxpayer Turkeys! President-elect Donald Trump has many challenges facing him as he prepares to take office in January. Perhaps his biggest challenge will be the Pentagon’s budget Even though Trump has talked about excessive spending and draining the swamp, his national security platform includes spending more on the military. Some estimate his increase will surpass $500 billion over the next 10 years, which is reckless considering the amount of waste at the Pentagon. Spending restraint at the Pentagon will not only be a challenge for Trump, it will be a challenge for Republicans reluctant to cut military spending.